Recently I was transferring some music from vinyl disks into my itunes. One of the recordings I had was from our church choir when I was growing up. In youth choir we used to sing a song that has always stayed in my mind. It began with a soprano solo and I love hearing my dear friend Kathy’s glorious youthful voice singing forth, “Seek ye the Lord, that he may be found, call ye upon him while he is near.” I think about this song quite often, not just the melody, but also the meaning of the lyrics. I also think about the scripture, “When I was child I thought as a child.” In my youth, even though this song ministered to me with a wonderful message, I heard the lyric about a God who perhaps was distant; that I needed to seek the Lord in a way that made sure I didn’t miss this beautiful presence while it was close at hand. In the Old Testament we often read of the Lord’s presence “passing by,” and that the faithful needed to make our requests known to God in those special times. As I have come to re-examine this lyric, and certainly the scripture, I now understand that God is forever near, for God is right where we are at every moment. Earlier in the scripture from 1 Chronicles it refers to the covenant God made with Abraham. It is a covenant that God is with us always and our seeking the Lord’s presence is as easy as turning our thoughts to Spirit’s Divine fullness. When we turn, when we seek, we do indeed find that sweet presence of the Divine. 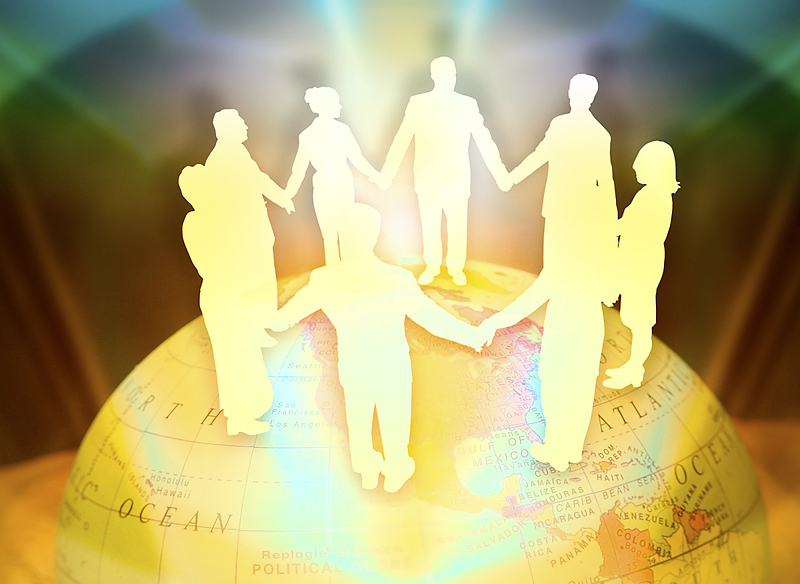 It is a presence that binds us and all peoples to Spirit. Jewish, Muslim and Christian, all descendants of Abraham, but this is also meant to include all those who are the unique and special creation of God. We are each and every one of us a vital part of the mosaic of God’s heavenly kingdom here on earth. Seek the Lord that Spirit may be found, deep within you, and seek knowing that you find the complete fullness of God’s possibility and grace right where you are at every moment. God has been waiting for you. We must make the decision to show up in faith. This passage of scripture is a favorite of mine. I especially like the part about not quenching the Spirit. This makes me remember how easy it is for us to cut off the flow of God working in our lives. When we begin to get negative about things, or other people, when we begin to look for fault instead of looking for the blessings, it is so easy to quench the love of God showing up in our lives. Praying without ceasing can be as simple as just knowing and affirming that God is right where we are at every moment, meeting whatever need we may have. I think praying without ceasing in this way is the surest way we have to experiencing that abundant life we all desire to lead. Think about this: think about a time when you have needed to take some medication and as that medication begins to work you feel better, more healthy and focused in life. Suddenly, because you feel better, you stop taking that medication. You stop because of the false belief that because you feel better you no longer need it, forgetting of course that the reason you feel better is because you are taking your dosage each day. This happens in our spiritual life as well. We come to church, we pray, we connect with God and God’s unconditional love, allowing God’s Spirit to move throughout our day to day life, and things begin to turn around for us, our lives begin to look pretty good. But then we stop that God/Spirit connection thinking we no longer need to turn to God, that everything is now all right. Well, guess what? The reason things are looking so wonderful is that God is a major part of our focus. I notice this especially in church attendance. In times of crisis the sanctuary is bursting at the seams as people reach out to Spirit God for comfort. Not a complaint, for we are delighted that people know there is a place to come and find peace. But, for many people, if things are going along well church becomes at the very bottom of their priority list. Too bad, for a continual affirmation and worship of the Divine Presence, Spirit-God, builds for us a wonderful Spiritual Escrow Account of Faith. So, as our scripture tells us, do not quench the Spirit from moving throughout your daily experience, but always give thanksgiving to God for all that God is doing in your life. God is willing and anxious to bless us, but we must do our part and receive the gift. One thing we can count on experiencing is change. So often we think about change as being difficult. If things change we will have to adapt to something new. We are so familiar with things the way that they are that the slightest alteration becomes something that we instantly label as bad, or we dislike. But change is good. Change is the cycle of life, God’s cycle of creation and change means that we are growing to new understandings of God working in our lives. It seems I am forever having to update one app or another on my electronic devices. Maybe it is the laptop, maybe the iPad, or maybe it’s the iPhone. New information has become available, but the old app is unable to receive it. As annoying as this often becomes, because it seems to always occur when I am in the middle of something else, I do know that there are advantages to the updates. When I actually stop to think about it it’s pretty cool that we even have this technology. Information is just a click away and our questions can be answered in record time and in a way we can understand. Of course as a pastor this intrigues me. (One of the things that seems to happen after seminary is that it becomes difficult to not think theologically about almost everything.) So, I ask, are you up to date with your relationship with Spirit God? When is the last time we checked in and allowed Spirit to speak to us in a meaningful way? Not in a sound bite kind of way, God I need an answer to this one thing I am dealing with right now, but in a way that deeply communicates with Spirit that feeds our soul and changes our life? Not that even getting a sound bite from God is bad, for that too is a powerful demonstration of our faith and those can be life changing as well, but going more deeply in our relationship with God can be ever so much more rich and fulfilling. In any relationship spending quality time is always so much better than being ships that pass in the night. Making quality time with God a priority is so important here. Meditation is a great way to update our Spiritual App. Thirty minutes, even three to five can be a life changer. Heartfelt prayer is another. Reading scripture and allowing the text to speak to us in a new way is also great and even a very familiar text can have new meaning when we meditate upon it. When our connection with Spirit God is open, solid, clear and strong we open a place within ourselves for some amazing things to happen. We open a place for revelations that we might have missed if we weren’t up to date with our faith and belief in the still greater possibilities of God available to us at every moment. The positive energy and vibration of Spirit God is always flowing, but we have to be receptive and open to receiving it. If you wanted to listen to classical music you would tune your radio to the classical music station, not the rock station. Be open to hear God and you will hear God. Be open to receiving the answers you seek and you will receive them. God loves you and longs to spend time with you. So again I ask, are you up to date with God? In the scriptures Jesus presents a world sharply divided into God’s kingdom and the kingdom of darkness, and tells us that we cannot be working for both kingdoms at the same time. We are not going to get where we want to be with divided thinking. President Abraham Lincoln spoke of this scripture, and invoked its meaning, when, during the American Civil War, the United States was being divided in a most destructive way that could easily have destroyed what earlier generations had so diligently created. I have to wonder, is our personal house divided and the fruit of our lives tainted because of wrong thinking, wrong words, wrong beliefs? Do we expect a certain outcome, to produce good fruit and meaningful lives, but our words and deeds and thoughts do everything possible to prevent that very thing? Our scripture reminds us in no uncertain terms that we need to be in concert with God if we ever expect to get from where we are to where we want to be. The choices of our words, deeds and thoughts determine our journey. We have to be in harmony with God if we expect our journey to survive the hills and mountains that so often are placed before us. If we are in touch with God, and God’s work in our lives, we can find a way to the other side of those obstacles. Our words, our deeds, our thoughts, and oh yes, our motivations must be in alignment with God if we want our life to make a difference.